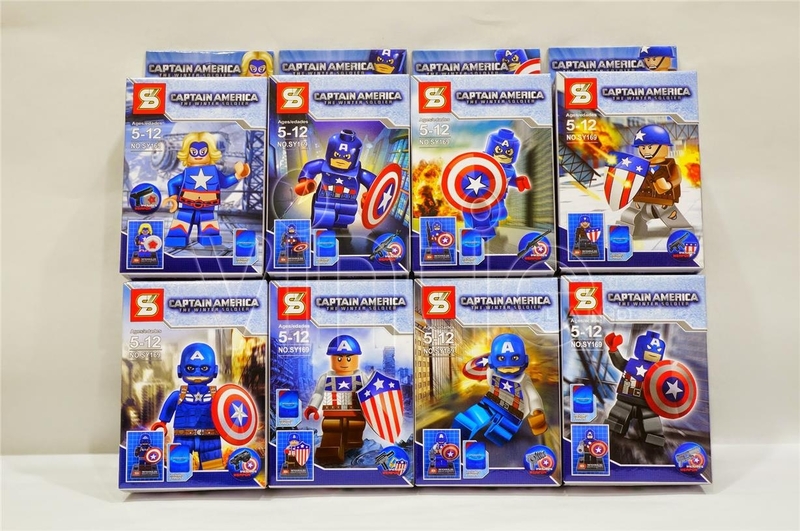 Why Lego did not make a real helmet for Captain America minifigure? 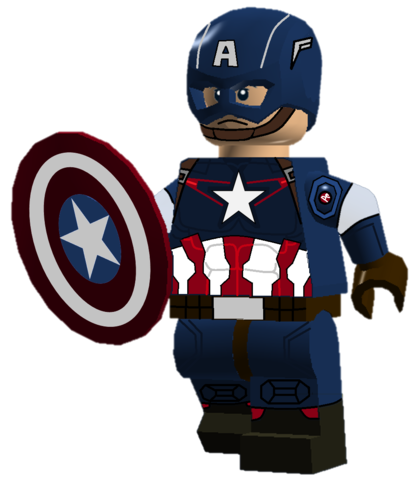 I wonder why Lego did not make a real helmet for Captain America, even when they come up with the recent Steve Rogers' head? Batman has one, Iron Man has one. Same question for Spider-Man. Their current heads look small when placed alongside with the others. Any views? I wish there was an easily accessible iron man "helmet" printed head. I have a dislike for anything "super deformed" or "bobble head"-like. I actually really like the approach with the figures you mentioned. I would assume it has something to do with both being more cloth-based rather than metal or plastic / whatever batman's cowl is made of. The Iron Man helmets have grown on me. When I first saw them I had a serious dislike for them, but I learned to love them and now I have far too many. Took some time, but they are okay to me now. Not proportional, sure, but they have a LEGO charm to them. I think it is a matter of time until they will release a new version with helmet. And if well-done, it would not look awkward. I don't have any Captain yet, but hopefully next year could be my chance for getting a proper version him. @BrickDancer ; Yes, that's why I said "easily accessible" in my post :) I think he goes for around $500 us alone. I've seen the set go for over $1000 on ebay. 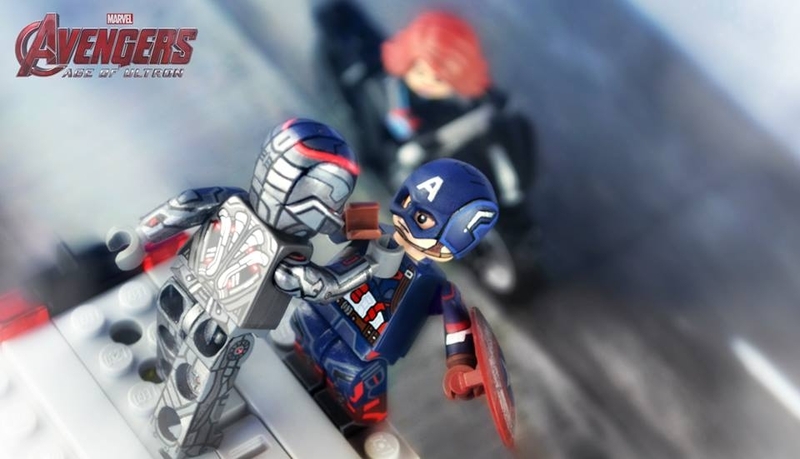 Ross (MGF Customs) created one for Avengers: Age Of Ultron (2015.) It looks pretty awesome, I would definitely choose a cowl piece over printed head given that his mask is bulkier than spandex. At first I didn't really mind, but seeing the customs that other people have made, yeah, I want a proper helmet for him. They look abit like a smooth version of The Flash's helmet. Spider-Man's mask represented as a printed minifig head isn't a major issue, his mask is a thin, skin-tight piece of material (same for Deadpool), but Captain America's mask is a helmet with plating, so it should have a piece similar to the Flash (Mini helmet no.32, 'no.1') or Ultron (Mini helmet no.71 top) helmet piece to give it some bulk. 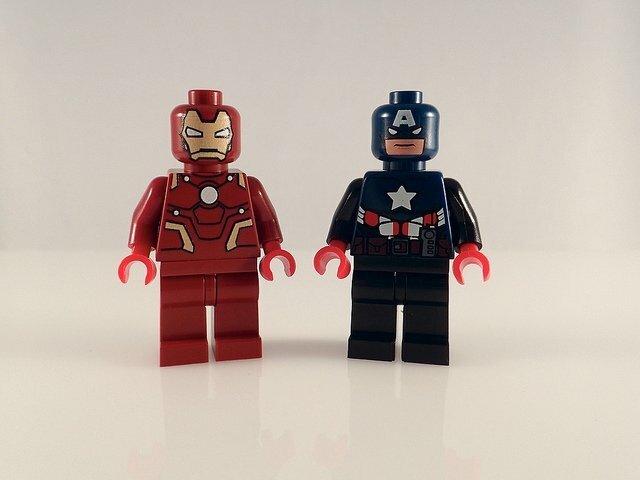 Personally, I'd prefer all the superhero mask were done as pieces, not just printed minifig heads, but if TLG don't go that far, I'd hope that at the very least, they'd eventually move to mask/helmet pieces for characters that plated or thicker masks. @BrickDancer, thanks for throwing that pic of the Toy Fair exclusive, best pic I've seen so far & now, after seeing that, I think it has completely kill my interest in wanting these two...off to Brickset to clear them off my want list. I actually prefer the Iron Man helmets over the printed Toy Fair head. I don't particularly care for that print job/variant, so I have no interest in it anyway. Plus with the increased color variety of Iron man helmets now, it becomes quite the collection.